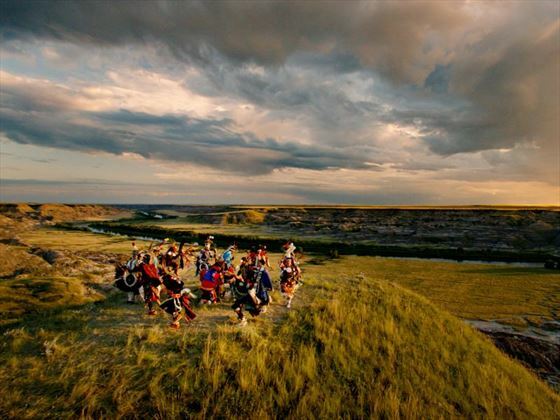 A new adventure exploring the lesser known areas of Alberta province, where you can discover a world of dinosaur fossils and cowboys, outdoor pursuits and urban attractions. 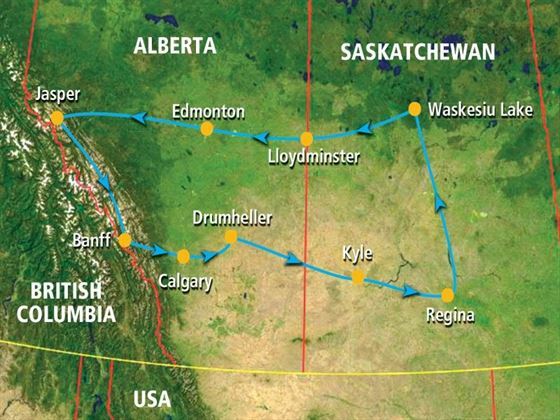 This two-week self-drive itinerary is a fascinating journey through the real Canada, including a couple of days at an authentic ranch and a stay in the border town of Llloydminster - the only Canadian town which straddles two provinces. Starting in Calgary, a contemporary city with a unique cowboy heritage and travelling through the Badlands to try out some ranching of your own. 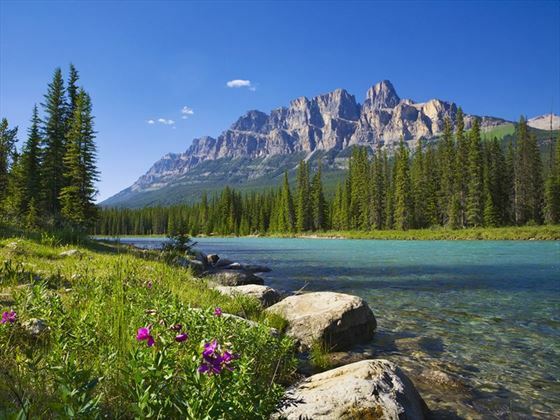 Travelling by road allows you to see and stay in some lesser visited but fascinating towns before you relax at a lakeside lodge surrounded by gentle wildlife and then finally explore the Rocky Mountains from the charming mountain towns of Jasper and Banff. Arrive in Calgary and either collect your rental car for the short drive into Downtown Calgary or if you prefer, take a taxi to your hotel and collect your car the following day downtown. There will be a roadbook waiting at your accommodation for you to start planning your adventure. 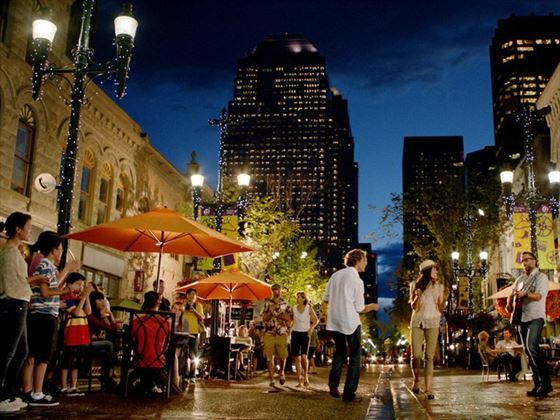 An overnight stay in Calgary gives you time at leisure to rest up or head out to explore nearby sites such as Calgary Tower. 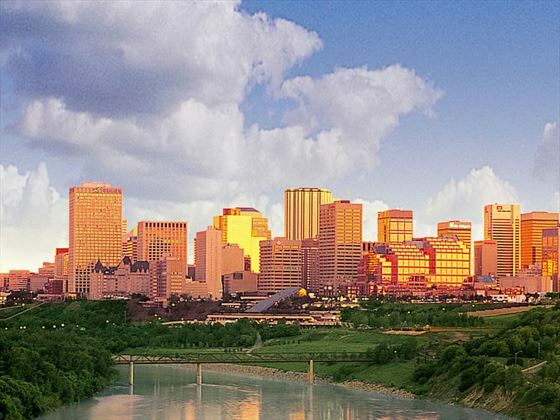 Overnight Calgary – Sandman Hotel Calgary City Centre or Ramada’s Hotel Downtown Calgary. Heading east from the city you are en-route to Drumheller in the Canadian Badlands. This area is one of the richest fossil beds in the world and the largest dinosaur fields in North America. You can stop off at the Royal Tyrell museum for some great interpretation of the fossil findings and a look at the story of the Dinosaurs that roamed here. Head further east leaving Alberta behind (you’ll be back) and drive into Saskatchewan. The rolling plains are so blanketed with wheat fields that they are known as Canada’s ‘bread basket’. Other scenic stop points will take in beautiful lakes and forests. Your final destination is Kyle to start your authentic ranching experience at the wonderful La Reata. You will get an insight into both cowboy life in a bygone era and the running of a contemporary ranch. 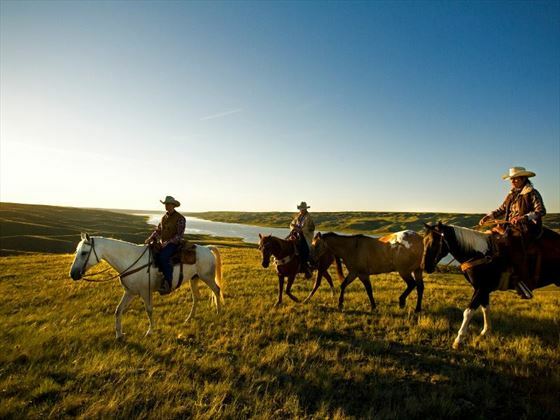 Knowledgeable guides will show you the prairielands by horseback and you can help with the care of a herd of over 200 cows including new-born calves. You can also explore on a hike or take a boat trip on the lake to spot birdlife and wildflife. Meals are included and are a social affair; evenings are spent in the ‘saloon’ (complete with pool and darts), sitting by the campfire or in the hot tub or practising your lasso skills. Keep going further east under the biggest of skies and you will be exploring lands that pioneering immigrants discovered in the 19th century. 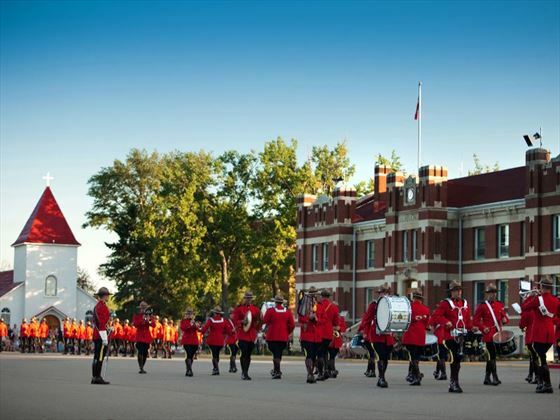 Stop at the wonderfully named Moose Jaw for some informative historical attractions such as the Heritage Centre for the ‘Mounties’ with a great self-guided audio tour. Additionally you will enjoy the Passage to Fortune historical tour with a re-enactment of Chinese immigrant life in the 1800s within the town’s tunnels. 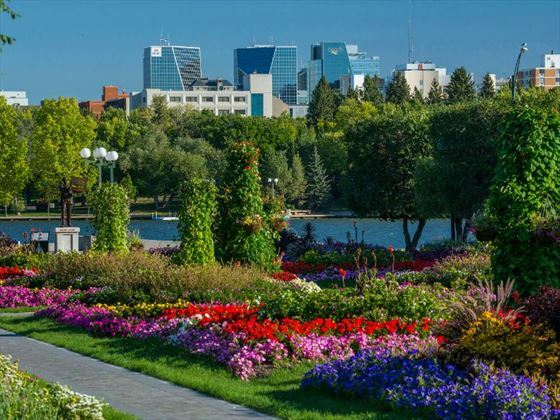 Break the drive up with a stop at Saskatoon, known as bridge city with great riverbank park spaces. Your final destination for the day is the luxurious Elk Ridge Resort with fine dining, full service spa and even golf on offer for a change in pace. Lloydminster sits on the border with Alberta and enjoys an artistic and culinary flair. 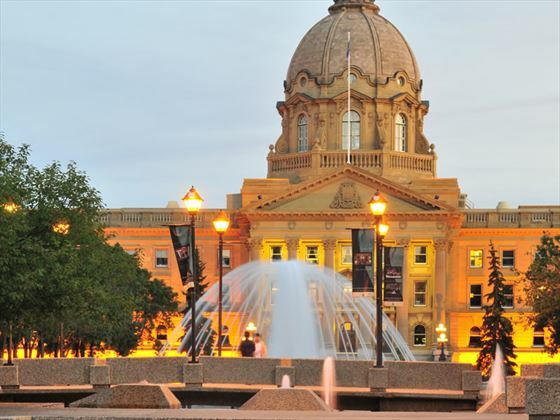 Edmonton is Alberta’s capital with grand buildings and sprawling parks you can explore at your own pace. A scenic day of driving into the Rocky Mountain range. 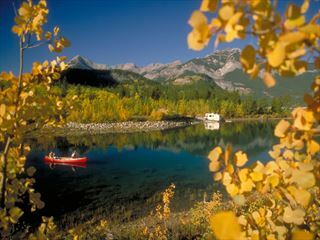 Winding mountain roads take you to the alpine town of Jasper, your base for some adventure for 2 nights. 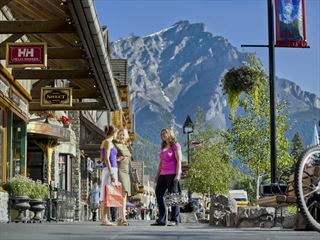 You may wish to try a cruise on Maligne Lake or ride the Jasper Tramway with some time for a strolling around town and trying the local restaurants. Saving the best drive until last, this road is more well-travelled and rightly so as it is considered one of the world’s most scenic road trips. Stop for photo opportunities of snow-capped mountains and waterfalls and the beautiful Peyto Lake before settling for the night at Banff. Head down from the Rockies back into Calgary for your flight home. Daily flights available with Air Canada, KLM, British Airways and United Airlines. One of our most popular tours, starting from Calgary and visiting the best of the Canadian Rockies, including a two-day rail journey on the Rocky Mountaineer to the Pacific Coast city of Vancouver. The Rocky Mountains are your gateway to Canada. Experience hot springs, glacial ice fields and breathtaking views of soaring peaks. Journey over rolling foothills and through interior canyons and discover the frontier legends of homesteaders, cowboys, and gold seekers. Experience the "Best of the West" on this magnificent journey through the world’s most photographed landmarks-the national parks of the Canadian Rockies.